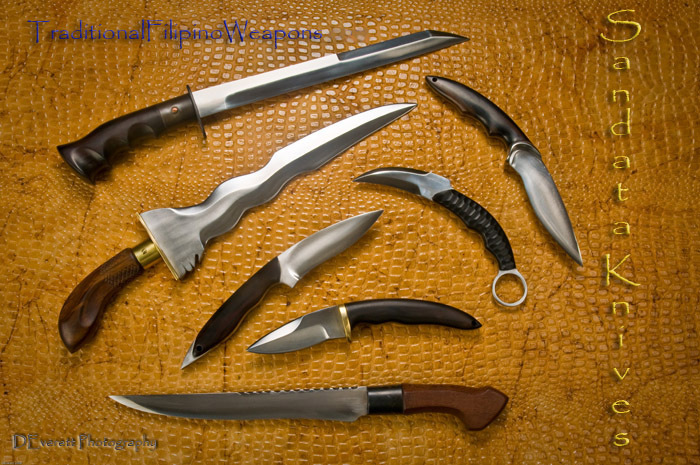 There are many different designs of the Punyal. 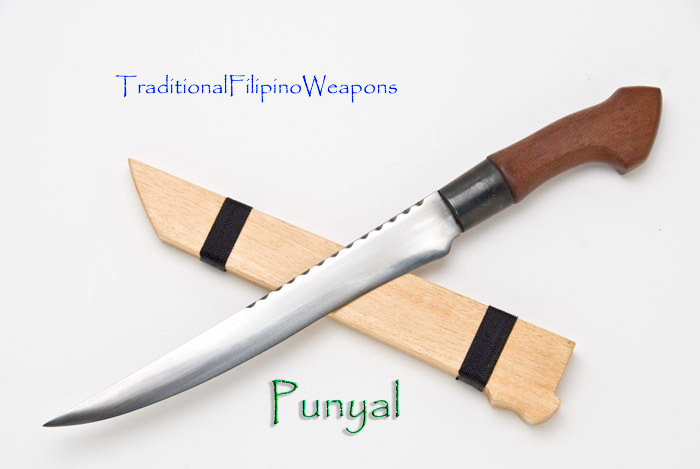 The Punyal is usually A Southern Philippine Maranao or Moro weapon. There are a few different designs of the Punyal; some straight like this one, some that are straight have a double edge. Some have the waves of a Kris blade. 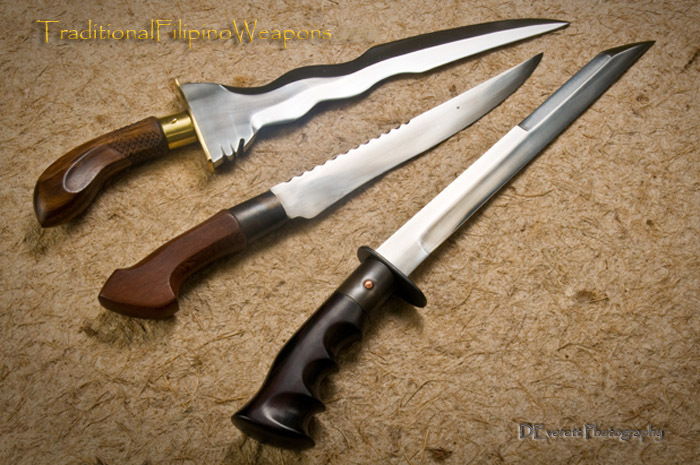 The Straight Punyal is also a side arm like the Gunong. The Punyal is worn by tucking it in the sash, although the one wearing it does not suggest a fight or asking for a fight, a man wears it because of its multi purpose use. Often (and until this day), men who have a Punyal tend to show it off and compare it with their friends' Punyal just to appreciate it's art and beauty.